The age-old question - what makes a good whisky? Many roads lead to Rome and even more to creating the water of life bottle of whisky, which vary across the gazillion of distilleries around the world let alone the ones popping up like mushrooms around terra australis’ on-going whisky boom. Of all the spirits, whisky and its variants seems to be a focal point for the more enthused and passionate consumers, with a whole industry dedicated to catering to their every whim and need. 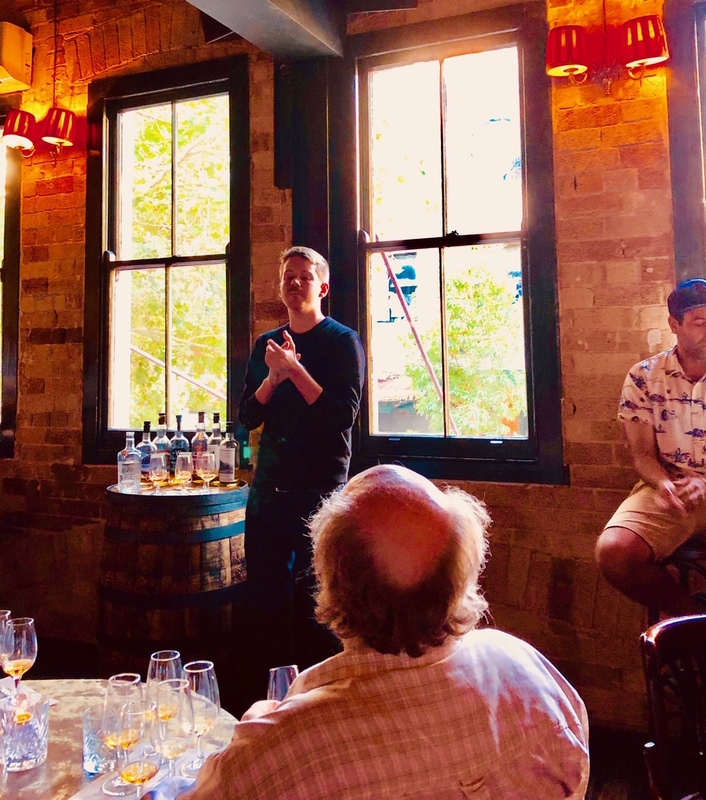 Started at The Wild Rover in 2012, Sydney’s members-only Whiskey Co-Op is one of them, yet it has something to offer that others do not, which to a large extent boils down to their curation of presenters. Enter Scott Fitzsimmons from one of Sydney’s only specialist bottle shops The Oak Barrel. Personally, I'm a lover and devoted follower of world whisky in all its many forms and have attended quite a few tastings, however, there’s few like the ones arranged by the Whiskey Co-Op as the stars are still the liquid emissions being proffered, yet they are set in scene in a manner that few other hosts are capable of. Given the subjective dynamic part of the whisky fabric, Scott displays a deep understanding of what one of the qualities of tastes and flavours are: The creation of Proustian moments, where they trigger e.g. feelings of nostalgia and transport you via their engaging flavours to another place and time – an experience that results from your nervous system being fully engaged and creating an experience that culminates in more than the mere stimulation of your taste buds. Apart from the ability, Scott’s “technical” knowledge of everything spirit related is a nice melange of a borderline scientific approach to thoroughly understand each component of the production process paired with an unbridled enthusiasm and a respect both the craft that goes into it as well as the audience that creates the stage for him to guide them. Taste can obviously not be being led by price or grade alone, even though mostly it is the stigma attached to it. The way Scott approaches his elaboration makes those considerations irrelevant as the way he approaches the curation of tasting events is informed by what makes his heart pump, which was backed by him paying homage to new emissions, e.g. Starward’s excellent and affordable grain-barley hybrid Two-Fold (which we recently elaborated on in a previous feature) or a dram of Speyside’s fairly modern Speyside distillery Tamnavulin, which is something that has not even been familiar with me on a name basis. Given the expert selection of the six whiskies of the night, they spoke for themselves in terms of complexity and balance. However, it was due to Scott’s expertise that his elaboration inspired your humble narrator to take a sip and approaching it from a different perspective, which changed how the character, smoothness, finish was perceived and resulted on an X-factor being added and the creation of an additional dimension. 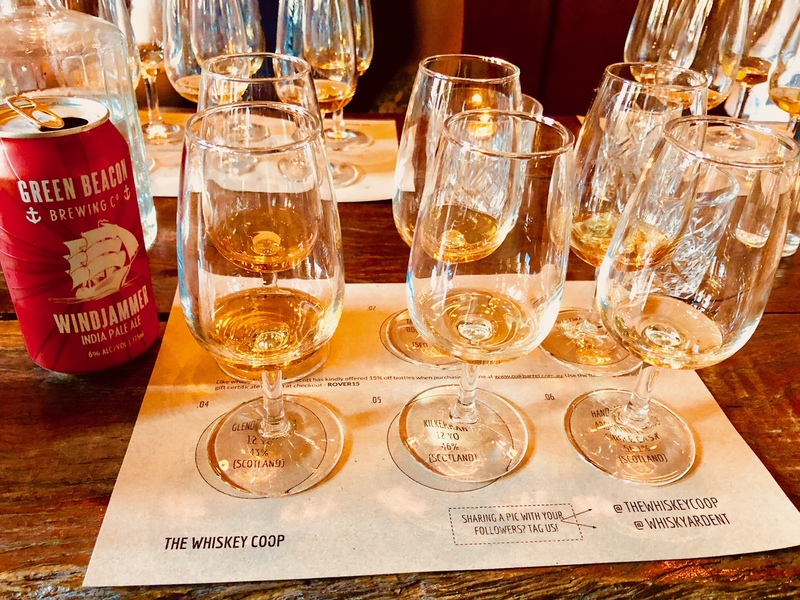 A fulminant first tasting of the Whiskey Co-Op that has set the bar high for things to come.